Nobody could deny that it’s been a long, hot summer. We’ve all been spending plenty of time outside, sitting around in parks, on the beach, and anywhere we have been able to catch a bit of a breeze… but the end is in sight, folks. Before too long, the colder weather is going to start blowing in, and we’ve got to make the most of these last few weeks of truly blazing sunshine. What better way to take full advantage of the tail end of the hot season than by organising a wine-centred picnic? It’s the perfect excuse to gather together a few mates, scout out somewhere gorgeous to spend a balmy afternoon and share a couple of top bottles and some delicious food. Picnics are something that everybody loves and can get involved with; they’re a great way to explore the outdoors, and they’re just as good for showing off your top sense of taste when it comes to packing delicious things to eat and drink. Just imagine - the sun is warming your back, you’re lying on the grass and enjoying the view, and you’re surrounded by your favourite wines and plenty of nibbles. It’s the ultimate lazy afternoon activity… and it really doesn’t get much better than that! Here at The Wine Gallery, we understand better than most the importance of getting away from it all, and drinking some awesome wines in a relaxed, unhurried and unpretentious setting. 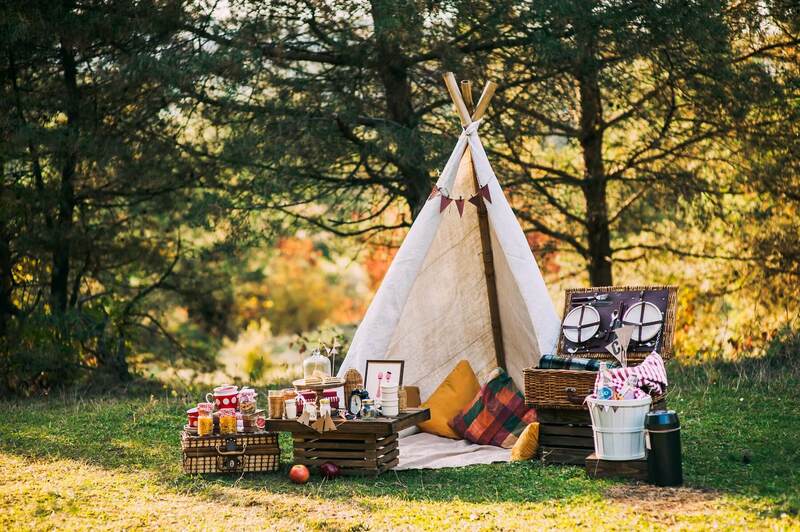 However, in order to take your wine picnic to the next level, there are a couple of things you need to consider. Luckily for you guys, we’ve done the hard work and have put together this ultimate wine picnic checklist. So, get your hamper ready, get on the phone to your drinking buddies, and enjoy! 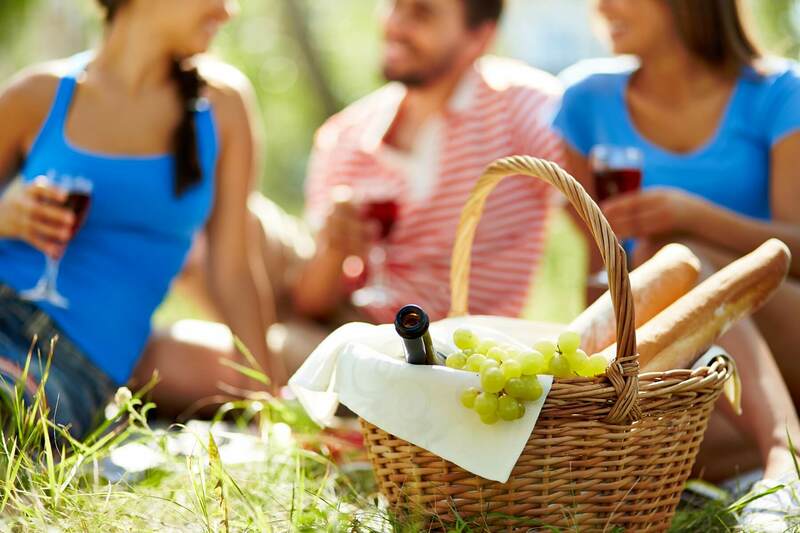 Make no mistake: the location is definitely one of the most important factors when it comes to planning a wine picnic. This kind of gathering is at its best when its a real excuse to get away from all your worries and cares, and enjoy a bit of wilderness and undisturbed quiet. While you can no doubt have plenty of fun eating and drinking in your local park, we’re lucky enough here in Australia to have access to pretty much endless wide open spaces. What’s more, half the fun of a picnic is doing a little bit of walking and exploring in order to find the perfect spot (although not too much, because you’re gonna have to walk back again once you’ve had a few glasses of booze…). Check out somewhere which offers excellent views, is unlikely to be disturbed by crowds of locals or tourists, and which isn’t too difficult to get to and back again. 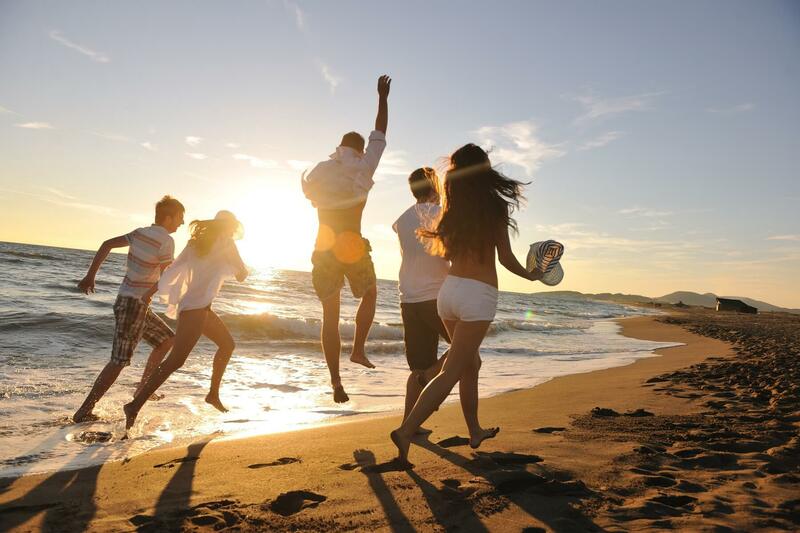 The whole point of a picnic is to spend a few hours chilling with your friends, so make sure you’re selecting a location that you’re going to be more than happy to spend some serious time in, lying on your back and enjoying the natural surroundings. Sounds good, doesn’t it? When I was a kid, picnics were all about hastily-made sandwiches stuffed into a Tupperware box, followed by a bag of chips and - if I was lucky - a chocolate bar picked up from a petrol station. Believe me; it doesn’t have to be this way any longer (well, that is unless you’re looking for some slightly disappointing nostalgia). Really, a picnic can be anything you want it to be - we’ve all got our individual preferences and favourites, after all - but if you’re looking for food which is going to be ideal for eating outside with your wine, there are a few tried-and-tested classics you can’t really ignore. Firstly, get yourself down to a good bakery, and pick up a top-quality French-style baguette or two. This crusty European bread is perfect for tearing and sharing and is going to act as the base for plenty of tasty treats. Other great options would be ciabatta and focaccia - basically, any flavourful bread you can share without having to mess around with knives and chopping boards is going to do the trick. Next, stock up on antipasti, tapas dishes and small finger foods. We’re talking great olives, pieces of quality charcuterie, hams, salamis, a trio of cheeses, a few different biscuits and things like nuts and dried fruit. Not only are these the ultimate relaxed dining options, they’re also perfect for nibbling alongside your favourite wines. Finally, prepare a couple of different salads - cold pasta salads are always great for picnics, and provide a bit of bulk to line your stomach with, as are fresh green salads which are going to go nicely with your baguette and add a bit of colour to the spread. Don’t forget to use some sort of cool box for your meat and cheeses, and be sure to pack a few napkins, paper plates and all that sort of thing. You want to strike that balance between the sophisticated and the relaxed… it’s something the European al fresco diners do so well, and it’s going to make your picnic the perfect way to spend a sunny afternoon. And if that all sounds like a bit too much work, then check out Pop Up Picnic! and let them take care of it all for you. OK, now it’s time to get serious. This end-of-summer picnic is going to revolve around the bottles you bring (and is there anything better than enjoying a fair few glasses of wine outdoors in the sunshine? We think not! ), and if you want things to go off with a bang, it’s worth taking a bit of time to think about which ones you pack in the cool bag. There are plenty of options to choose from, but it’s always a good idea to keep things light, fairly uncomplicated, and relatively low in alcohol… so we’d recommend saving those aged bottles of Bordeaux for when winter comes around. 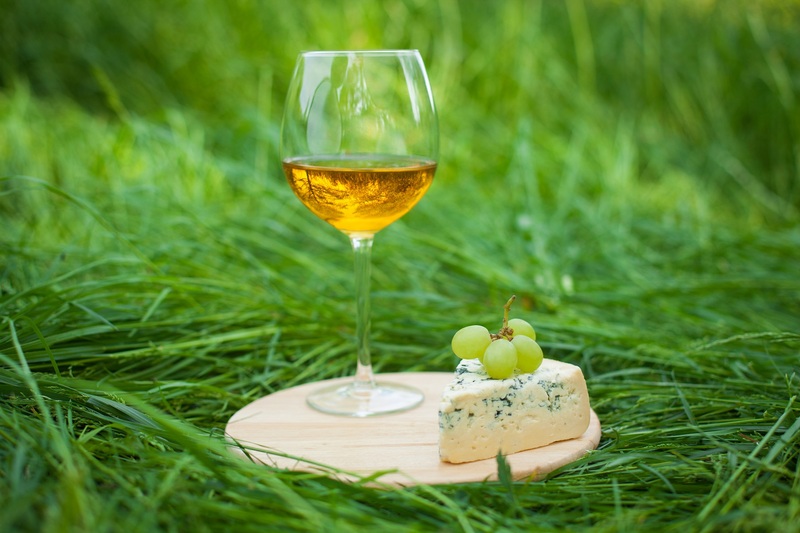 If you want to really feel like you’re connecting with nature on your picnic, you can consider going for some natural, organic or unfiltered wines (in which Australia is absolutely excelling at the moment), or you can stick with reliable picnic favourites. Here are some of our top tips for al fresco drinking. We don’t automatically think of red wines when it comes to light, outdoor lunchtime drinking. However, some hit the spot pretty damn well in this regard. A light, juicy Pinot Noir, for example, is going to go down very well with your picnic snacks, as will something like a New World Zinfandel or Carmenere. However, if you really want to tie all that lovely charcuterie together and enjoy a classic lunchtime red, you’re best off sticking with something bright, breezy and Italian. A Sangiovese or Primitivo is going to go so well with your picnic food, and won’t knock you out and leave you snoozing under a tree. It’s sunny, you’re out on the grass with your mates… there’s no doubt about the fact that every great picnic features some top white wines. For my money, nothing does the job quite so well as a Riesling. Low in alcohol, beautifully balanced, brilliant with food - this is the one white wine you just can’t do without. If you fancy something a little different, go for a Chenin Blanc, a Gavi or nice, dry Gruner Veltliner - they really capture something of the outdoors in the glass, and are sure crowd-pleasers, too. Here in Australia, we produce loads of brilliant rosé wines, with some made from fairly interesting and unusual blends. Of course, if you want to keep things classic, opt for one from the Provence region of France - they don’t get much better than that! What would a picnic be without a bottle of something bubbly to get the afternoon started? Not only does sparkling wine offer the ultimate in refreshment, it’s also one of those wines which seems to pair brilliantly with almost any food you can throw at it - perfect for the pick ‘n’ mix nature of a picnic spread. We’d argue that French Champagne is probably a bit too uptight and formal for a picnic with your mates, and something a little more chilled out - like a great Spanish Cava, or even a Lambrusco or Asti - probably does the job a whole lot better. If you’re looking for an all-day bottle with a bit of fizz in it, we can’t recommend Vinho Verde enough. It’s a slightly sparkling white wine from Portugal made from Alvarinho grapes, which is just about the best sunny afternoon wine we can think of. Some decent wine glasses - let’s not bother with plastic cups! 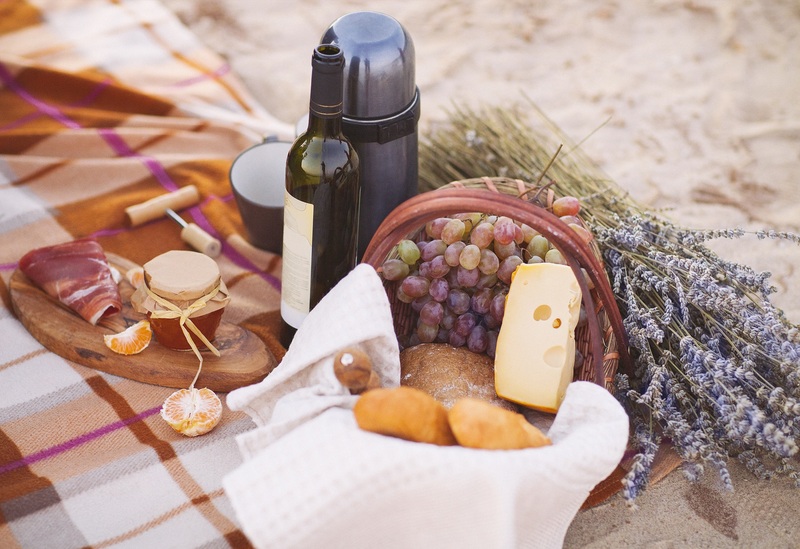 So, there you have it - Our ultimate wine-based picnic guide. You’re all set for a top sunny afternoon with your friends out in the countryside… let’s really make the end of summer count! But that's not it. It's time for you to start planning your ultimate wine picnic for you and your besties. That's why for one lucky picnic lover we've teamed up with Pop Up Picnic to over you $200 worth of wine and $200 worth of Pop Up Picnic Goodies. To enter head to the picnic competition page and tell us you favourite picnic spot and why. That's it.